Rhonda has been involved in real estate since 1986. She has extensive experience in selling, leasing, strata, residential, retail, industrial, administration and property management. Real estate is Rhonda’s specialty – you want answers, she will have them. Rhonda keeps abreast of all the latest industry standards and continues to participate at many seminars and conferences. She is honest, loyal and motivated and follows her client’s instructions in all matters, offering exceptional customer service. Would you like to speak to Rhonda? 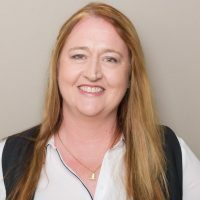 If you’re thinking about renting or selling your property and you’d like a clearer picture of how much your property might be worth or want to have an informal chat about general property market trading conditions, Rhonda will be happy to arrange a full market appraisal of your property.